← Rich Little Unveils New Book “People I have Known and Been…Little by Little” by way of Being all the People he has Known, at Hollywood Museum! 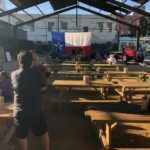 Pearl’s BBQ in Downtown Los Angeles is kicking off the 4th of July weekend in grand style Starting the festivities on Wednesday, June 27, 2018, they’ll be celebrating America’s Red, White and Blue with a five-day patriotic celebration. Pearl’s BBQ features a full bar serving up your favorite beverages, like Tito’s Vodka and Jack Daniels, and for the traditionalist, Lone Star and Shiner will have all of y’all covered with the promise of ice-cold beer all weekend long! Your Fourth of July weekend barbecue desires will be satisfied with Pearl’s melt-in-your-mouth barbecue, where you can choose from the 16-hour Smoked Brisket or the 12-hour Smoked Beef Short Ribs rubbed with secret spices and served with sides that will make you take off your hat or knock your boots off. There’s Cowboy Roy’s Handmade Baked Beans, Coleslaw with house-made mayo, or creamy Potato Salad that will have you slippin’ back for more. My recollections of Texas barbecue were revived and revitalized as I settled into Pearl’s moist and perfectly cooked meats. The brisket was tender and the smoked short ribs smothered in Pearl’s full, well-rounded barbecue sauce you can add to your tasting were perfection. 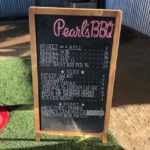 For those of you who’ve been looking for a piece of Texas in LA Pearl’s BBQ meets those expectations in real down-home way. The shed raises high above you and is open to the air like back home. Picnic tables line up where you can get serious about chowing down and a stage right up front, easy to see, where the music is happening with no barriers between you, your barbecue and the artist. 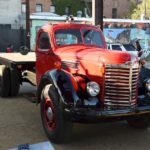 I knew when I heard Hank III wailing deep Country over the loudspeakers that I’d found a bit of Country heaven in DTLA! 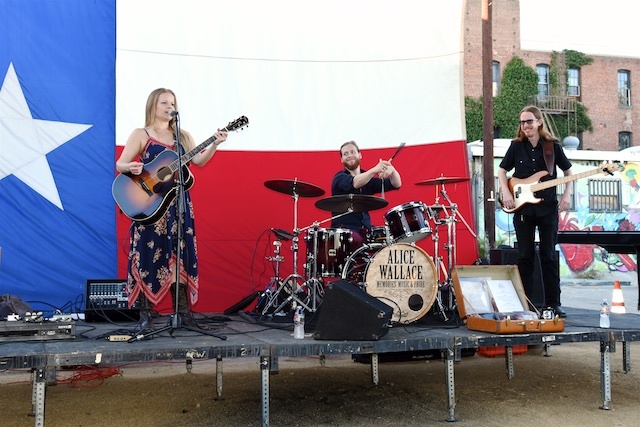 Then Alice Wallace performed a fine set of root Country and a nod to the classics, making you right at home where you rest easy, while sippin’ on your Lone Star or Shiner. Don’t forget to leave room homemade Apple Pie or Grandma Pearl’s Pecan Pie. I can testify that Grandma Pearl’s Pecan Pie is “TDF” and you haven’t lived till you’ve had a slice of this unmatched taste of perfection. It was a feel-good evening at Pearl’s BBQ, that hit a bunch of high notes on both food and the music! 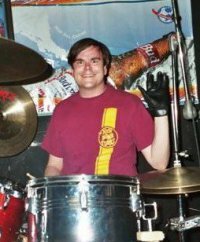 There will be fun all weekend long with Live Music from Alice Wallace on Friday, June 29, 2018, Ted Z & The Wranglers on Saturday, June 30, 2018, and a performance from Rob Leines on Sunday, July 1, 2018. 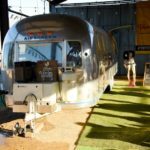 There’ll be games like Corn Hole, Horseshoes and Rope-A-Steer for all to enjoy can be played with friends and family all weekend long as well. 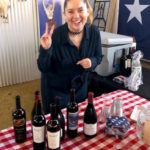 With the prospect of mouth-watering barbecue, a cold beverage and delicious sides, everyone will enjoy Pearl’s BBQ 4th of July Texas Picnic, a five-day festival filled with Southern hospitality and a “y’all come” attitude! 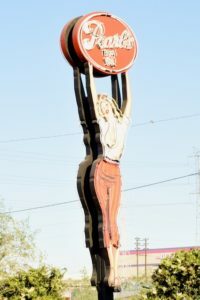 Pearl’s BBQ is located at 2143 Violet Street, Los Angeles, CA 90021. Pearl’s BBQ 4th of July Texas Picnic will take place starting Wednesday, June 27, 2018 through Sunday, July 1, 2018, from 12:00 noon to 9:00 p.m. To register for tickets to Pearl’s BBQ 4th of July Texas Picnic (admission is complimentary), please visit Eventbrite – Pearl’s BBQ Memorial Day Picnic BBQ. 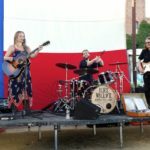 This entry was posted in Events, Food, Miscellanious and tagged Alice Wallace, fourth of july, Independence Day, July 4, Pearl's BBQ, Rob Leines, Ted Z & The Wranglers, Texas barbeque. Bookmark the permalink. 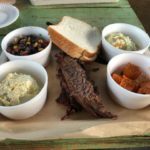 One Response to Pearl’s BBQ – Texas Style 4th of July Party Weekend! wow! That picture is so good I thought it was form a magazine!